The expert team at dHealth Dentistry has a number of tools at their disposal when it comes to gum disease solutions. The process is very easy if the disease is caught early. If your gum disease has advanced, then things get a little more complicated but that doesn’t mean we can’t help. We will leave no stone unturned in out attempt to restore your mouth to optimum dental health. A key aspect of our treatment is arming you with the information to continue your treatment at home and to put steps in place so that there is never a repeat of the disease. dhealth Dentistry’s gum disease solutions begin with a full examination of your teeth and gums. We will inspect your gum tissue and measure the gum pocket depth around your teeth. X-rays may also be required. 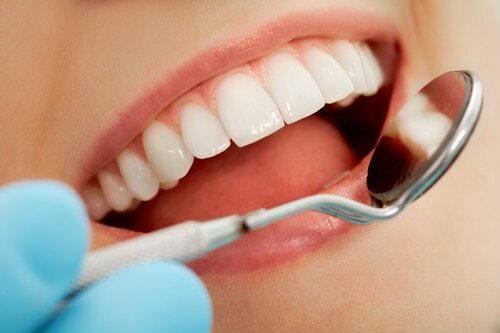 Gum Disease Treatment: Our treatment methods will be informed by the extent and progression of your gum disease. Laser dentistry and even surgery may be required for advanced cases. For early stage cases, one or more scale and clean sessions should address the problem. Treatment will begin with a through examination of the damage that the disease has caused to your gums. We will measure gum pocket depths and to make sure there is no opportunity for bacteria build up and even take x-rays if we feel it is necessary, especially if bone loss or tissue damage is evident. Our expert dental team will then complete a thorough scale and clean or scale and root plane (depending on the type and extent of the disease). We will also give you demonstrations on proper oral health practice and provide you with take home information. We may schedule another scale and clean appointment and regular check-ups are encouraged to monitor progress. Laser Dentistry: Laser technology uses light treatment to clean and kill harmful bacteria that may be causing gum disease. Laser treatment will be conducted over several appointments. We will turn to laser treatment in cases where the disease isn’t responding to conventional, clean and scale treatments. There are numerous benefits of laser treatment; it is virtually painless so no anesthetic is required, it has been proven to reduce the bleeding and inflammation of gums and the intense light energy is incredibly effective in destroying gum disease causing bacteria. No drills or scalpels are required meaning the treatment is less invasive and you wont need as much recovery time. It is also a far more pleasant experience and doesn’t carry any of the fear that is associated with the dentists drill. If the gum disease is too advanced and isn’t responding to laser treatment we will refer you to an experienced periodontist who will advise you on the best course of action.